In the Civil Service, we get so close to the action that it’s all too easy - as one news day piles on another - to lose sight of the extraordinary achievements. At the start of October, Scotland was starting to explore the post-referendum landscape. Lord Smith of Kelvin, at the request of the UK Government, was convening inter-party discussions on further devolution. This was in fulfilment of the vow made by the 3 UK party leaders in the run up to the referendum guaranteeing further devolution to Scotland. The (amazing) facts first, then some implications. The weeks since then have seen the appointment of Nicola Sturgeon as First Minister and the announcement of a new Cabinet, our Programme for Government and the report of the Smith Commission. 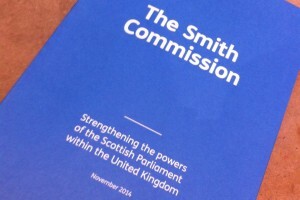 Lord Smith’s brief was to “convene cross-party talks and facilitate an inclusive engagement process across Scotland to produce, by 30 November 2014, Heads of Agreement with recommendations for further devolution of powers to the Scottish Parliament”. The process required rapid and intensive input from both the Scottish Government and Whitehall. The Scottish Government published its proposals for more powers for the Scottish Parliament on 10 October, just 3 weeks after the referendum. The UK Government produced its Command Paper summarising party proposals for further devolution on 13 October. Civil servants serving both governments were then engaged in providing technical analysis to the Commission. 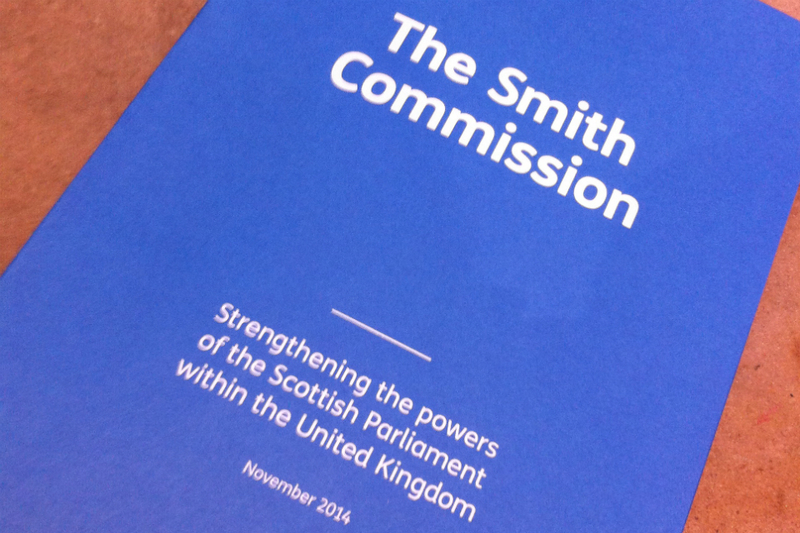 Lord Smith was supported ably by a secretariat seconded from the 2 governments and the Scottish Parliament. One of my colleagues described the operation as like a business start-up: bare walls, cables snaking everywhere, drive, focus and teamwork. Brian Taylor, the BBC’s Scottish Political Editor, captured the atmosphere nicely in his blog on the agreement. The agreement published by Lord Smith was reached between all 5 parties represented in the Scottish Parliament – Conservative, Green, Labour, Liberal Democrat and SNP. The debate continues in Scotland about whether the proposals are sufficient and whether they fulfil the expectations raised about further devolution during the referendum campaign. The agreement covers tax (increased income tax powers, full devolution of Air Passenger Duty and Aggregates Tax, assignment of a portion of VAT revenue), welfare (devolved powers over aspects of Universal Credit and a number of other benefits), and devolved control of DWP employment programmes, onshore oil and gas extraction and the Crown Estate. Amongst the constitutional powers to be devolved is control over the franchise to enable the Scottish Parliament to allow 16 and 17 year-olds to vote as they did in the referendum. The baton has now passed to the UK Government, working closely with the Scottish Government, to produce draft clauses by Burns Night (25 January) to set out how the Smith Agreement might be enacted in a way which in due course can be put to the 2 parliaments for agreement, and to agree the mechanisms for funding and inter-governmental co-operation that will underpin them. This however will only be half the challenge. The cultures and mind-sets of devolution are distinct, and a challenge to compartmentalised thinking. And they are posed as much by the developing position in Wales and with English Cities as they are by the settlement in Scotland. Our challenge now – in Scotland and across the UK – is to embrace these changes and to ensure that the journey toward further devolution is marked by a positive and can-do spirit of enactment as we all learn a new language and set of practices. As civil servants we will need to think about what this means for the way we develop policy, support Ministers and work together. Further devolution makes it more important we work closely together as one Civil Service. We need to get better at cooperating across departments, borders and boundaries and at working in partnership on our shared interests. We should look around us, and take heart. My good friend Mark Lowcock reminds us that many of the world’s most successful states operate on a federal basis, Germany and the USA amongst them. We are not formally in the F-space, but it does show us that in this new world of devolution, there are many potential upsides. Where do I put my cornflakes?